Forum Index > Off-topic Talk > A copy of Armi Bianche has surfaced! 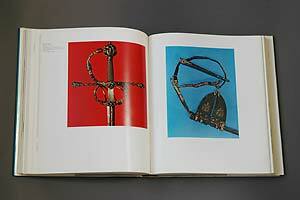 Posted: Tue 02 Nov, 2004 1:02 pm Post subject: A copy of Armi Bianche has surfaced! 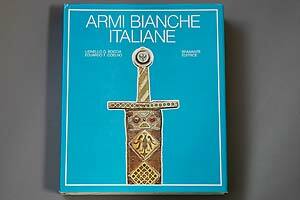 Hey people: A copy of the extremely rare and splendid book, Armi Bianche Italiane, has just surfaced for sale on AbeBooks. 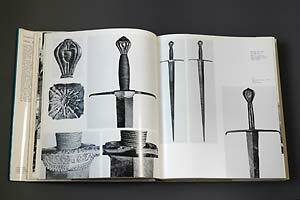 This book is very difficult to find and is rarely available for under $500. There are a couple others out there, but this is the least expensive of the three of which I'm aware. 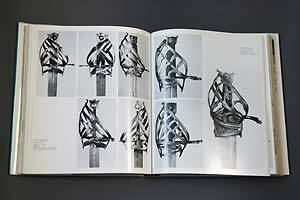 1975 Bramante Editrice. 10 3/4" X 12 3/4", over 2" thick! Each page has multiple photos. All are super high quality. This book is amazing!! This book is out of print. It was printed in 1975, has had only one printing as far as I know, and was a short run. Few copies are out there, and even fewer that are available for sale. That looks fantastic. Out of my current budget, but fantastic. 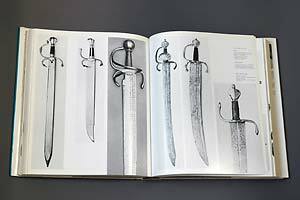 I'd love to see more closeups of the Visconti sword (3rd row, 1st plate). 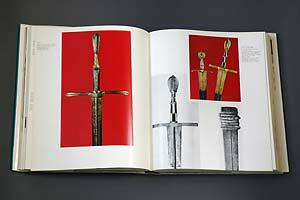 I'd love to see more closeups of the Visconti sword (3rd row, 1st plate). I'll scan some from varoius places over the next few days and make a post about it. But I think I'll make you wait a few days before I do that. Well, that's just mean. If you don't have time to scan the pics, you can just mail me the book, and I'll look at it myself. Chad: I wouldn't really make you wait, now would I? Rather old thread, but well suited for my purpose. After years of patient wait, I was able to secure a copy of that magnificent book from an Italian bookseller at a price I could afford (of course the dilemma here is that you can get a mid range sword or even a second Hand Albion for the price of this book, which resulted in me delaying this purchase over and over again). Well I don't regret going for it, however expensive, far from it! As said above, the book is an amazing graphic resource (yeah, for my Italian is rather poor (non existent might be more accurate ). Most of the shots seem to have been taken from a maker's perspective, they provide answers and yield many clues on how these beautiful artifacts are actually made...and it goes on like that page after page. 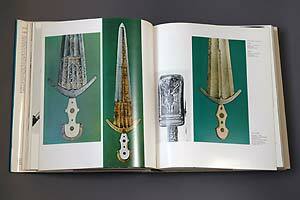 This might just be what I need to re-kindle my interest in my sword projects. The sword is in Monza's museum, I saw it and I could take pics of it easily, if it were permitted. If myArmoury's members are really interested I could ask for permision from the staff, usually with a bit of red tape this is a thing that can be done. Funny how times change. I now own this great book. I've also bought and sold other copies of it. Prices have fallen on a lot of these rare books. 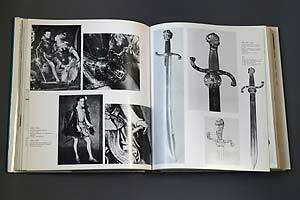 A copy is online right now at Abebooks.com for about $265 US. That link won't be valid long.